SHELBY — Pioneer Career and Technology Center is hosting Welcome Week on Aug. 8 from 9 a.m. to 3 p.m.; Aug. 9 from 9 a.m. to 3 p.m. and Aug. 10 from noon to 6 p.m. 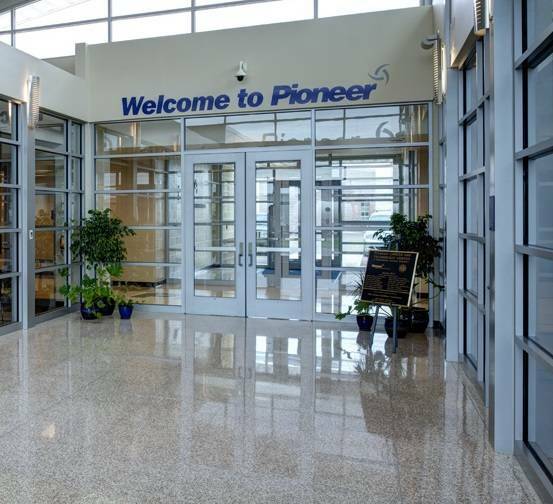 Welcome Week is when Pioneer high school students are invited to visit the building, register, pick up schedules, have their picture ID made, and pay school fees for the school year. Each Career-Tech lab has a scheduled day for this week. We certainly understand if you are unable to make the assigned day. Please feel more than welcome to choose one of the other two days that better fits your schedule. Aug. 8: Auto Tech/Auto Tech-Level 1; Early Childhood Education Hospitality Services;; Carpentry Exercise Science/Sports Medicine; Performing Arts; Cosmetology Health Assistant; Precision Machining and Culinary Arts. Aug. 10: Collision Repair; Home Remodeling; Media Communications; Dental Assisting; Horticulture; Medical Office; Engineering; Design Technician; Industrial Diesel Mechanics; S.T.E.P. ; Environmental Services; Industrial Electricity Technician; Teaching Professions.